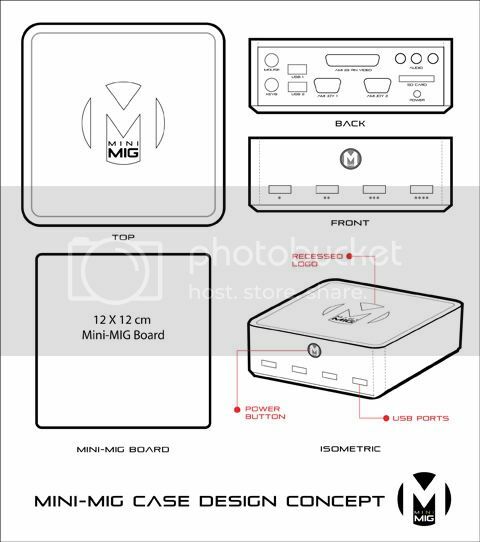 Here is a drawing of the kind of case I'd like to see, something that would look nice next to my XBOX-360, Wii, Ps3 and Dreamcast. 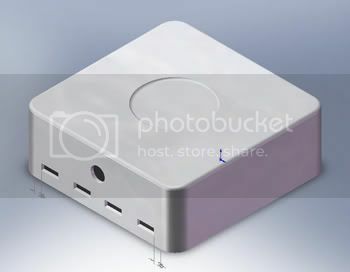 Cast as ABS plastic in gloss (painted)silver, or injection molded white or black. 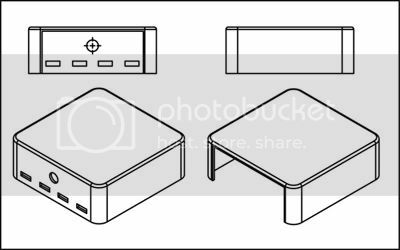 I know that things like the USB ports on the front, and the back ports don't exist, but again this is just a quick and dirty concept. Outer shell of the case I drew in Adobe Illustrator redone here in Solidworks. The Mini-MIG board would snap into a series of snap hooks on the bottom plate. The bottom of the case would then attach to the top. This would be a “build it yourself” type case project. We can workout some templates etc. for fitting the Minimig board produced into the case…the rest would be up to the Amiga hobbyist. This page was last modified on 12 August 2007, at 07:52.